Nice! 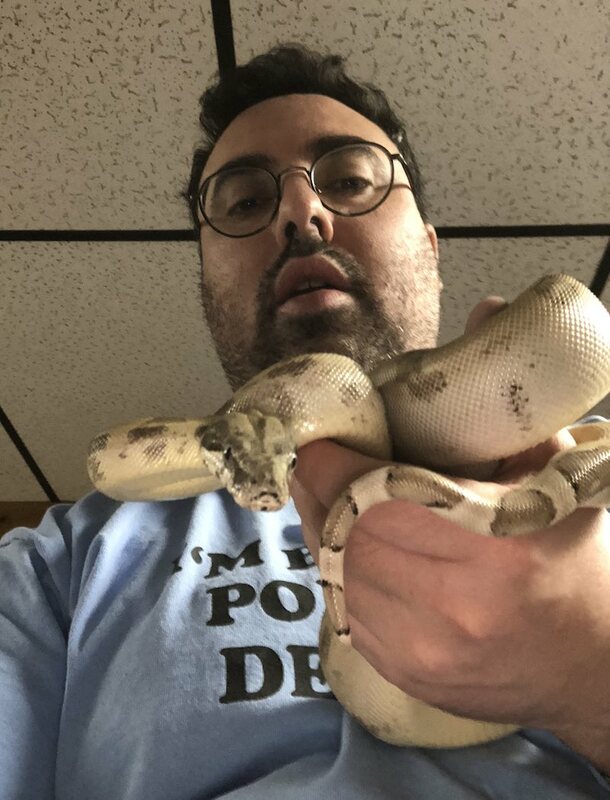 We need more photos of snakes chilling with their keepers. It makes it more emotional. Last edited by Godzilla78; 01-14-2018 at 06:12 PM. I know the focus is not great, but I liked the photo! I love her eyes! 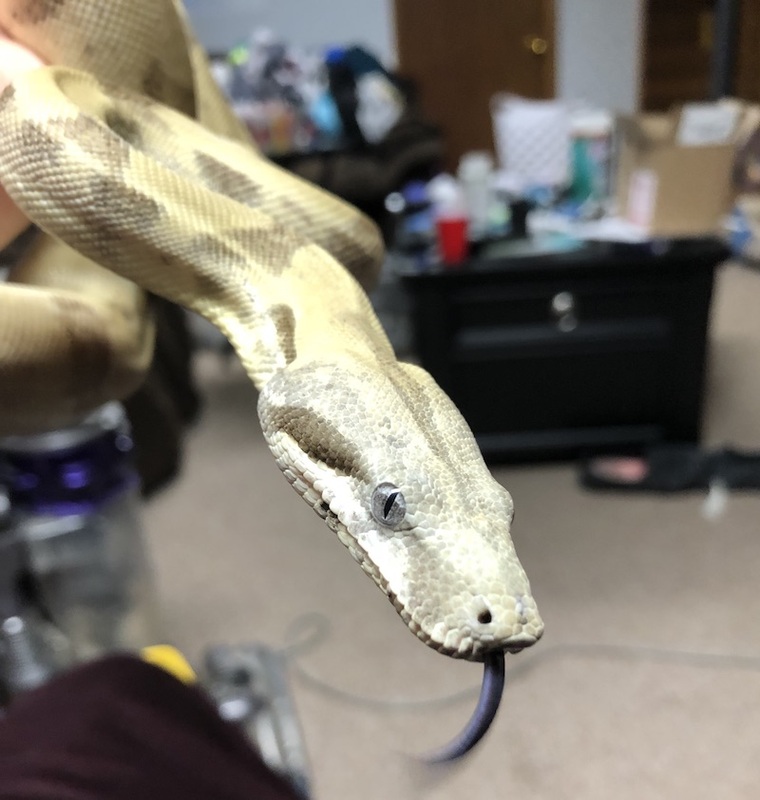 I'm new to boas and I've never seen one with grey eyes like that. Her eyes blew me away. One of the reasons I picked an ivory ghost. 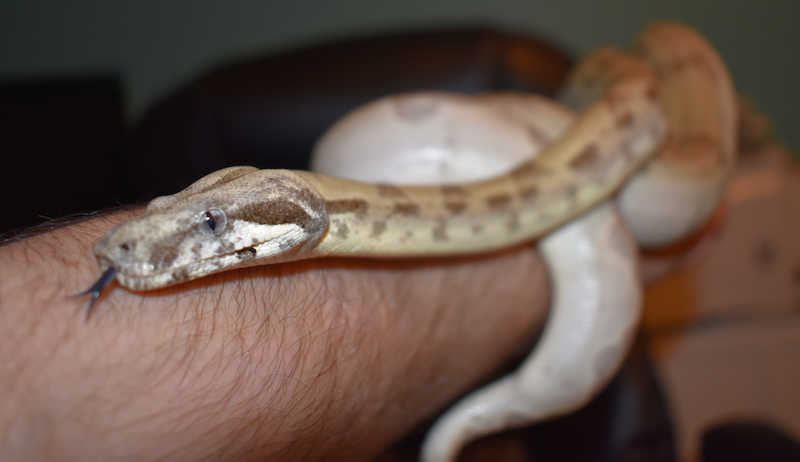 Of course my BP is albino and has red eyes and my corn is hypo-lavender and has purple eyes! I couldn't help it. I usually take Behira out in the evening, when she is often in her darker phase. Today, I took her out in the morning, and she was light as can be! Last edited by richardhind1972; 01-27-2018 at 02:37 PM. Behira weighed in at 670G today after a big waste dump. She seems to be doing great and I am down to feeding a small rat every two weeks. I confirmed with the breeder that she was born in June 2016, so she is a little more than a 1 1/2 years old. Still tame as anything once out of the cage, although we had an incident yesterday when I went to pick her up. Let's just say she was not in the mood. I will be using a hook from now on to let her know I will be picking her up. I am very happy with her slow growth and in general, couldn't be happier with her. Wanted to post a picture today and a quick update. Pretty sure after doing some research and from another post here https://ball-pythons.net/forums/show...-Hook-Training, that my bite last weekend was a feeding response. Hers is strong and I misread the cues. I am now hook training and it's going great. 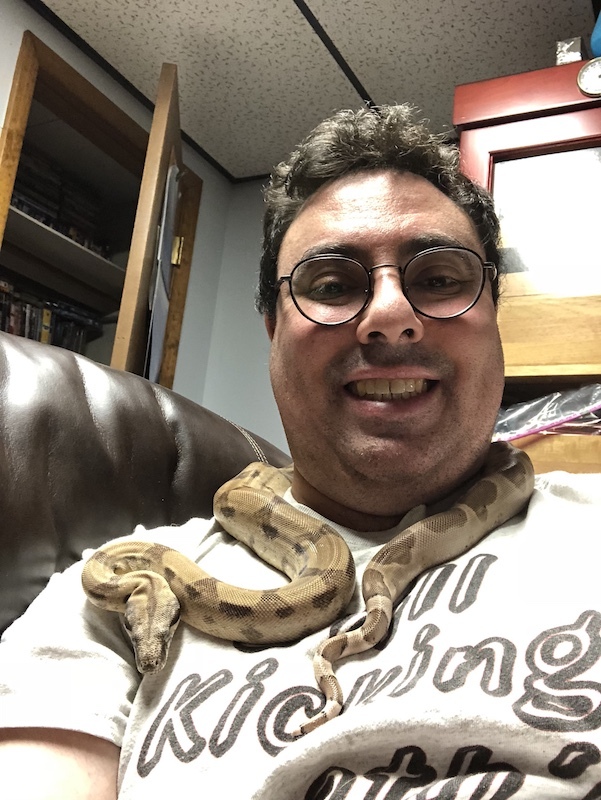 She is still incredibly docile and inquisitive once out of her tank, but since she will be 7+ FT one day, I am being diligent with hook training. To be clear, I do not blame her, it was totally my fault. Afterwards, she let me pick her up, and was like, "sorry dad, thought you were food ." 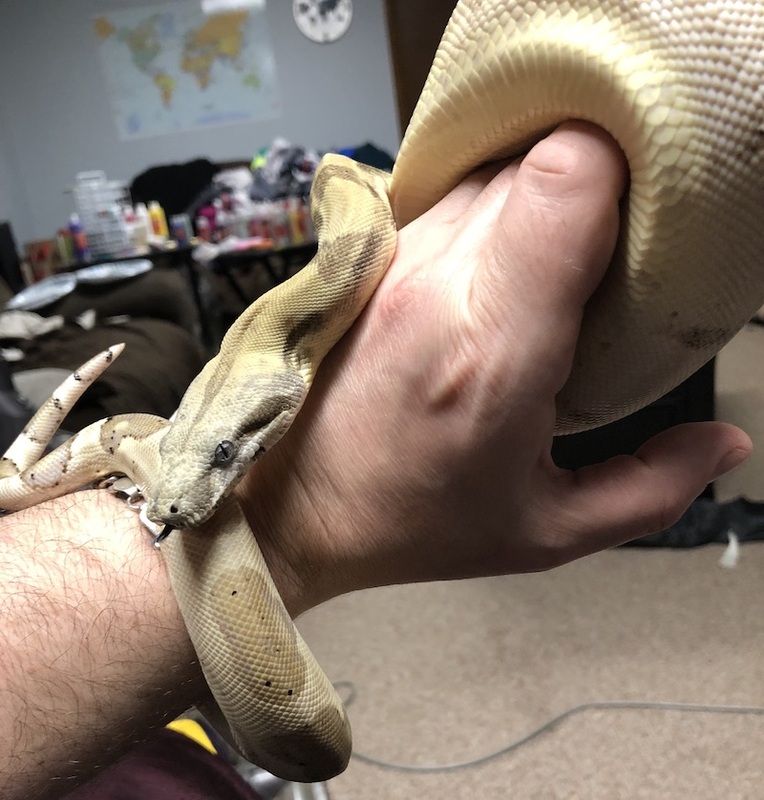 Hook training makes all the sense in the world (she will be by far the biggest snake I have had - BP's and corns before her) and I still adore her.